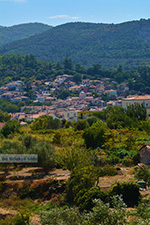 Pyrgos (Samos). 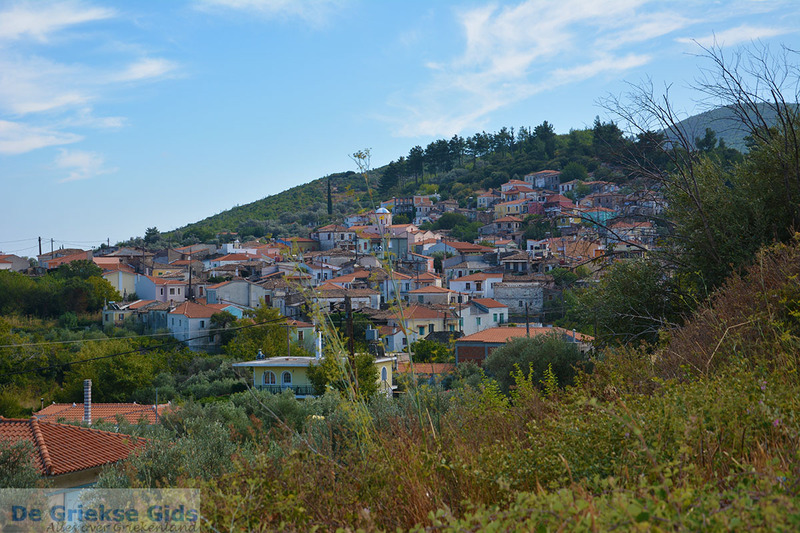 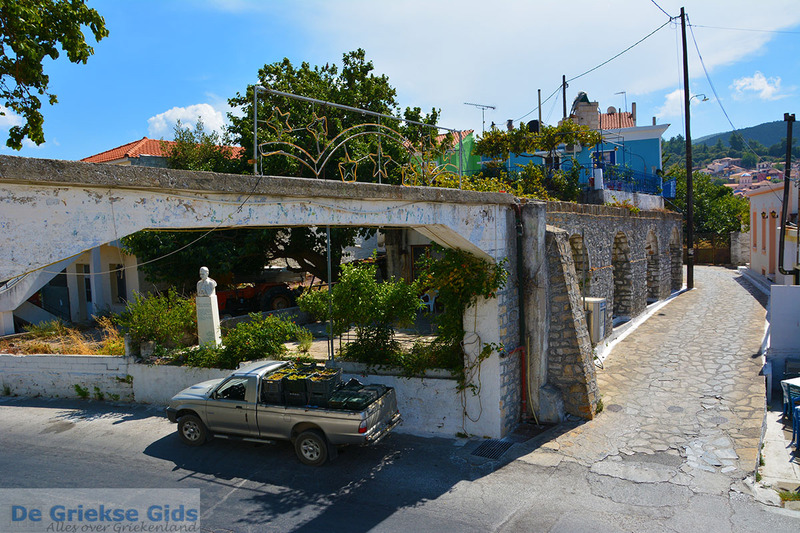 Pyrgos is a traditional main village which lies on the central southern Greek island of Samos. 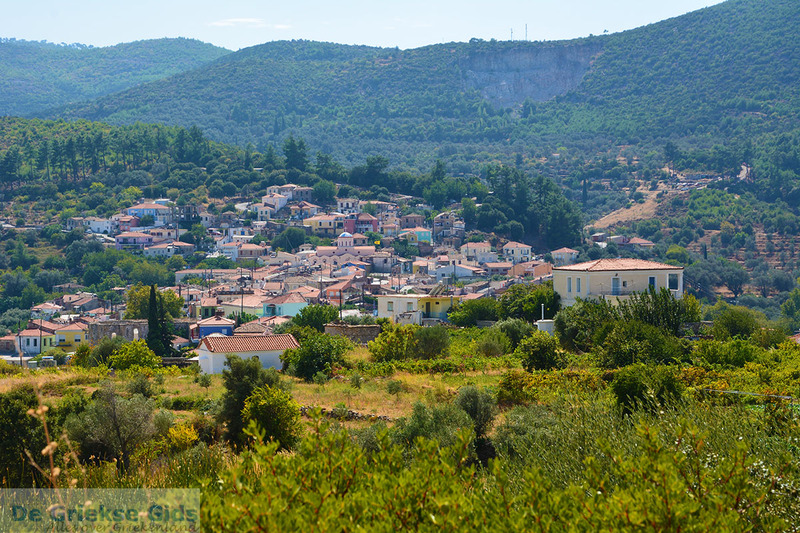 The village is located 17 kilometers (10.5 miles) west of Pythagorion, on the route Pythagorion-Marathokampos on the slopes of a hill. 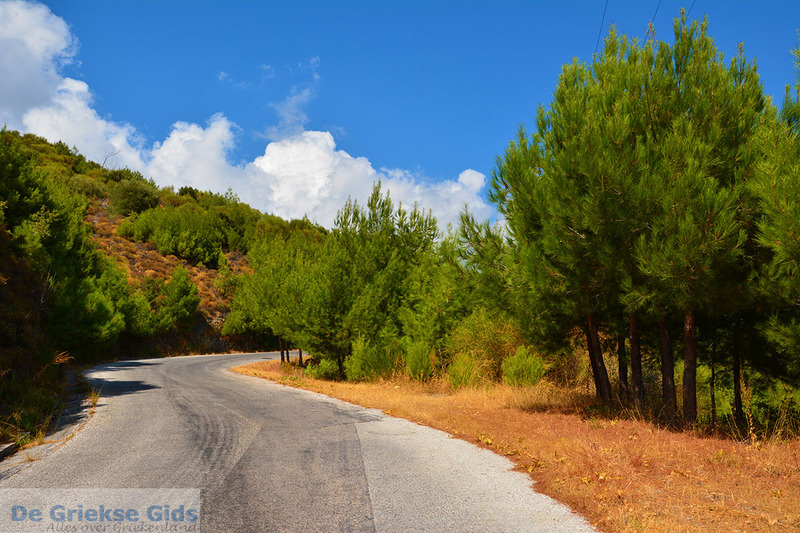 The drive from Pythagorion takes about 25 minutes. 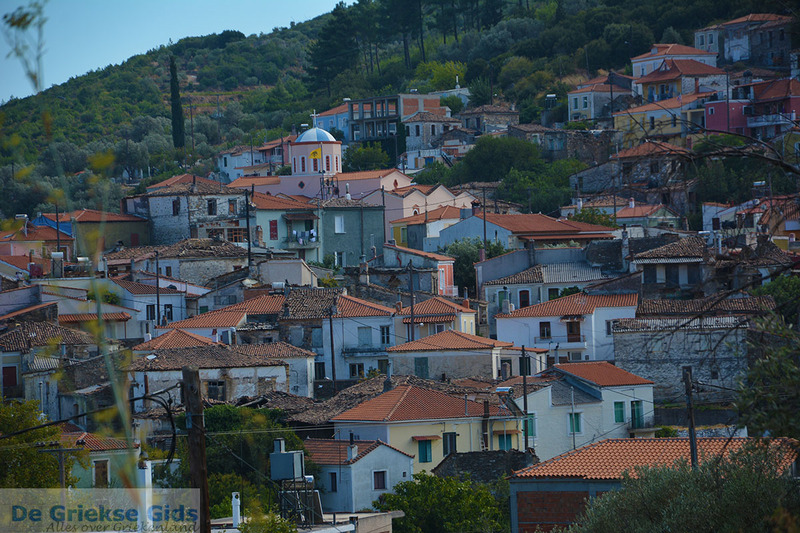 A characteristic of Pyrgos are the red ceramic tiles on the houses. 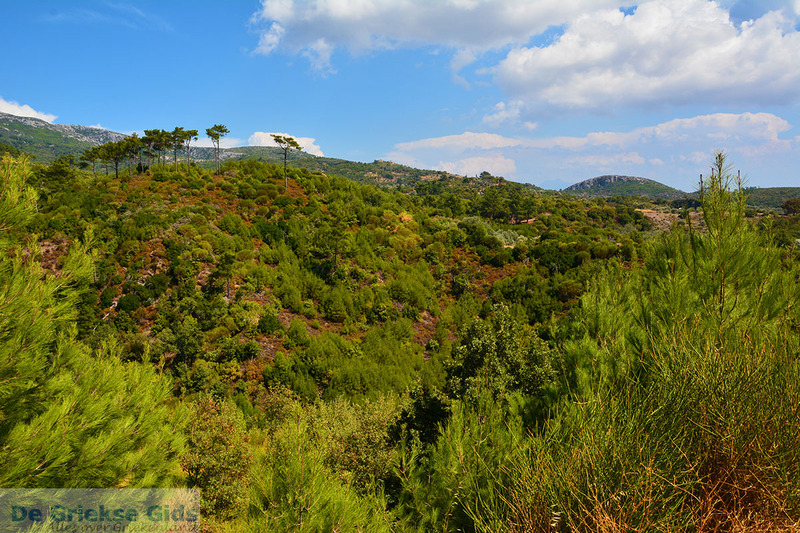 The environment is very green. 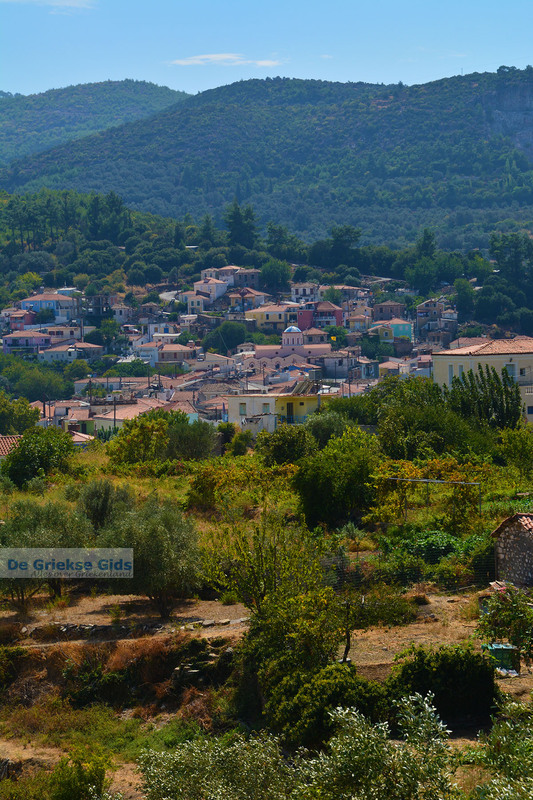 There are olive groves everywhere. 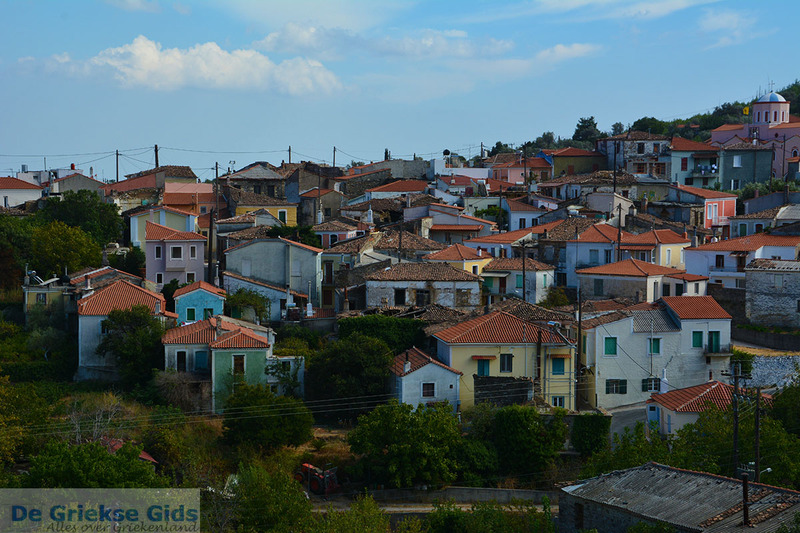 In the village there are several taverns. 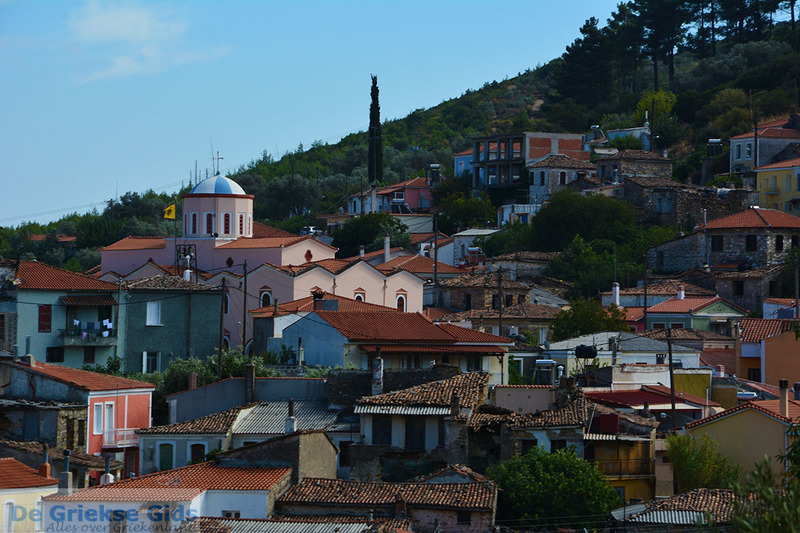 Sights near Pyrgos are the monasteries of Timios Stavros and Megali Panagia that were both built during the 16th century. 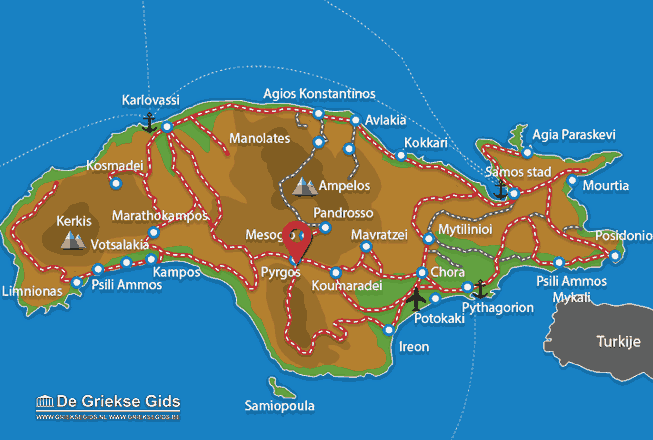 An interesting sight are the caves of Trypiovrachos with stalagmites and stalactites. 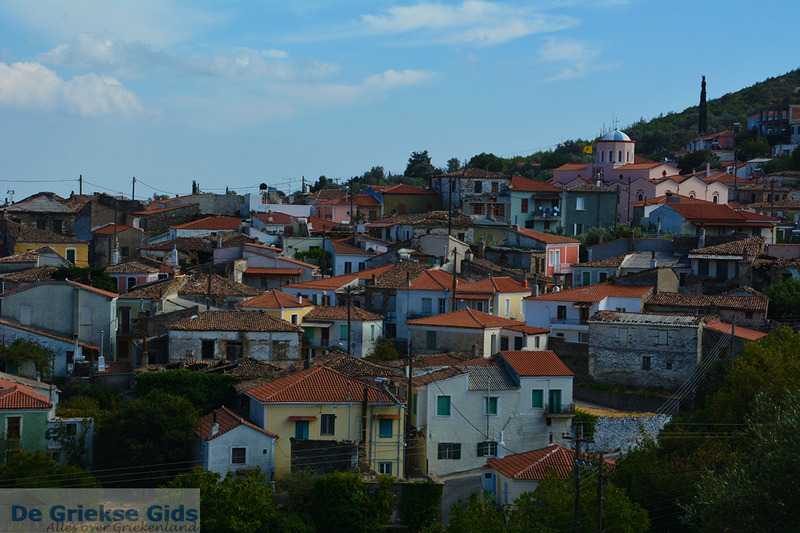 From Pyrgos you can travel a mountain road to the mountains where the beautiful villages Mesogio and Pandrosso are located.